PEN PERVERT: Police believe this seedy scribe could be a Surf Coast resident. 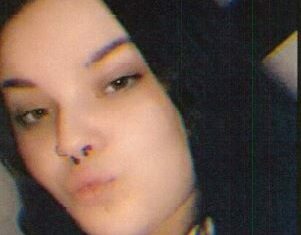 A stalker writing sexually-explicit letters to Surf Coast women has offered to send photos in a phone message, while confessing his shame in another. Police released the two recordings on Monday in hope someone would recognise the man’s voice as investigators worked to track him down. 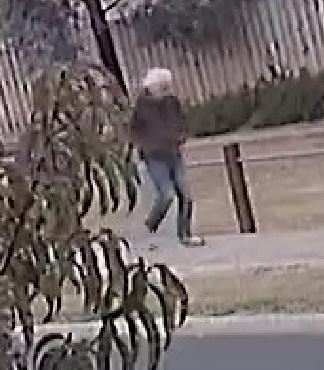 In July they released CCTV images of the unknown offender, who has handwritten about 20 graphic letters to businesses at Coburg, Torquay and Essendon. For the past nine months the seedy scribe had also been making phone calls to women working in the same businesses, police said. Originally police advised that the man could be frequenting Anglesea and Torquay but later they said he could be a Surf Coast resident. In the voice message the seemingly well-spoken man admits to sending the letters. “I sent you a letter some time ago detailing some of my (inaudible) and I just wondered if you’d like some photographs,” he said. In another voice message he hinted at the graphic contents of his many letters, after apologising for his actions. “Look, I guess I just rang to apologise. I sent a terrible letter to you people and I’m deeply ashamed of it,” he said. “I just fantasised about you girls doing massage – I just feel stupid – and I’m terribly sorry if I caused you any concern. The man had made several phone calls since apologising, a police spokesperson said. Fawkner Sexual Offences and Child Abuse Investigation Team detectives began investigating the case after the man sent sexually-explicit handwritten letters to several businesses in January 2018. The man made inappropriate calls from pay phones in the Melbourne and Surf Coast areas to female staff members at the same businesses. One call originated from a pay phone at Airport West on 9 May, police said. Since police appealed for information from the public in July, the offender had continued to write explicit letters to the businesses, investigators said. Police said some of the letters were about 10 pages long. They believe the man has made follow-up phone calls for sexual gratification and has targeted the same victims multiple times. The man has a deep voice, an Australian accent and is well-spoken, based on police recordings of some phone calls. Police urged anyone with information about the incidents to phone Crime Stoppers on 1800 333 000 or visit www.crimestoppersvic.com.au.